this entails me repainting over a print in Pointillism. This makes each one an original piece of art work, no two are alike, it comes double matted with a numbered signed certificate of authenticity stating it's an original signed by myself. 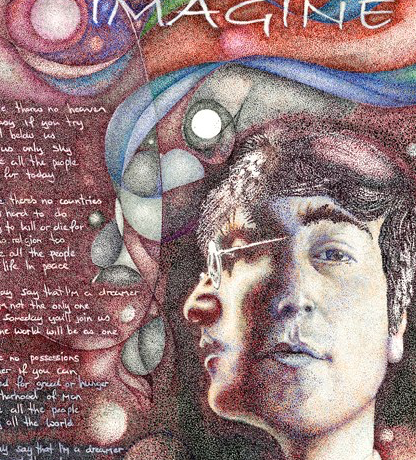 I also hand paint in pointillism John Lennons self portrait on the outer matting, again done in pointillism and no two self portraits will be the same. 11” z 14”- 8” z 10”regular prints are still available .